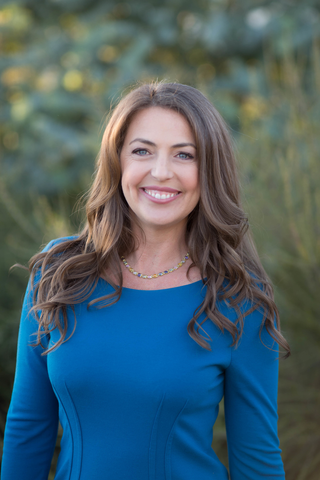 Jodi Womack is making a life that matters, as she defines it, using discernment, self-care, and tools she's developed in her practice as an executive coach. She shares some of them with us in this episode. When Jodi’s dream job turned into a nightmare, she had her husband’s support to take a year off to do a little soul-searching. During that time, she worked freelance and also realized that she and her husband had the skills to teach workshops and bring people together doing executive coaching. They've been doing this work together for the past 12 years, and have traveled the world speaking at conferences and to women’s groups. In her personal life, Jodi is a devoted daughter to her aging parents who need her support getting to and from medical appointments and managing medication. She's more involved than ever in her parents' day-to-day lives, so she's in the midst of embracing how her role as daughter is changing. Jodi lives in Ojai, California, where she also runs a company with her husband from their home office. She is on the road a lot as she has many opportunities to speak at conferences or meet with clients, so on a typical day, she may be up at 4 am and on the way to LAX to fly across the country. Each day, Jodi makes sure to get the right nutrition, fit in appropriate amounts of movement, reach out to and communicate with clients, and write for her blog. She likes to write about the things she speaks about because people need to not only hear the message but also walk away with tangible material to implement the lessons learned effectively when they get back to their offices. When she’s not traveling, her typical morning routine involves getting up in the morning, taking a shower, getting dressed, and riding her bike into town to hang out at the coffee shop for about half hour. The main reason she goes to the coffee shop is not for the coffee, but to have a sense of the normalcy that she might have as if she were driving to an office; she has appointments there, she’s out in the world, she’s social, clean, and dressed. Jodi's morning routine is important for her because on days she doesn't follow it, she finds she can get easily derailed. For example, when the weather isn’t nice, or she’s working on her laptop in bed or on the couch, she’ll realize around 3 or 4 in the afternoon that she hasn’t eaten, or hasn’t exercised, and the day is over. Jodi reminds us that self-care through ample rest, good nutrition, and exercise is important for sustainable productivity. Conventional wisdom has it that exercise is good for your body, but brain studies prove that exercise leads to healthy, active minds as well. It is good for productivity in the sense that one has increased memory capacity, has better recall, and doesn’t get stressed as easily, just to name a few benefits. Jodi’s number one challenge is saying yes a lot–and regretting it. Because she wants to be liked, and being the “yes person” makes her feel good on the front end, she can find herself getting stuck with things that she doesn’t particularly look forward to or that don't involve her using her best skill set. She enjoys being known as the go-to person for things, which is also a good quality, but she's aware that it could sabotage her bigger career aspirations if she is not more discerning. Speaking of discerning, this is her “Word of the Year.” She thinks it’s an elegant word that also implies that she has built in some criteria to decide whether to take on things that come her way. In Get Momentum, the book she wrote with her husband, they ask the question “what do you want to be known for as a…(fill in your role)?” Answering this question for each of the roles she has in her life helps her to stay aligned to what she’s aiming for and distinguish between what is people-pleasing and what helps her stay on course. She revisits this question a few times a year, such as the end or beginning of the year, or at the end of the fiscal year. She also reviews this question when big shifts happen in her life. For example, when she noticed her mother had lost an abnormal amount of weight within a short period of time, she helped with the logistics of getting her a diagnosis. This wasn’t easy, with her mother living a hundred miles away, so she had to take days off work. Her mother was eventually diagnosed with dementia; she was simply forgetting to eat. This diagnosis opened up a whole new set of responsibilities for Jodi as well as many questions that needed answering. She says when you get these “whammies” in life, it’s helpful to have some criteria to navigate through the storms. During this difficult time, she knew exactly what kind of daughter she wanted to be. She wanted to be active, supportive, and involved with what’s going on rather than just letting her parents figure it out on their own, so she has directed the course of her use of technology and productivity towards helping them out. This legacy question of “what do you want to be known for” has always been a challenging question for Jodi to answer because she is still figuring out what she wants to be when she grows up and she’s in her forties. However, picking a role, picking a few qualities you desire to reflect in that role, and picking a time frame really makes it doable to answer this question. Broad questions such as “Why am I on Earth?” or “What is my purpose in life?” can really set you off on a weird rabbit trail if you don’t have a set of constructive tools to help you define your answer. But if you know what you want to be known for as an author, as a wife, or any other role, you can avoid the abstract and define what you do practically and tactically, and also know how to get back on board when you get sidetracked. Jodi reminded us that there is no shortage of what the world will ask of you. Asking herself this question helps her to show up in her best skill sets so she can really make the most valuable contributions. Her own integrity helps her show up the way she wants to show up and really dig into the projects that she has taken on. Jodi travels a lot, so it is important for her to plan and prepare for the nutrition she enjoys such as oatmeal, bars, or travel size bags of nuts. She’s a vegetarian, so traveling to places where vegetarianism hasn’t quite caught on yet can be challenging, and she has to make sure to plan ahead and bring the things she can. She’s traveled the world and has gotten on just fine, but it is important to her that she has the right kind of snacks, protein, and nutrition she needs so she doesn’t feel like she’s being deprived. A tiny wedge of dark chocolate also helps her feel very decadent. Jodi knows the importance of nutrition and how it affects our productivity. We are prone to skip a meal here and there and not think much of the impact it has on our performance. She emphasized that a tired brain tends to make easy choices, so after a long hard day, when your brain is tired and your willpower is depleted, you have to make it easy to do the right thing. That's why she keeps bags of nuts and bottles of water everywhere. Drinking lots of water also makes you need to get up more and that helps you get some movement as well as give your eyes a break. A productivity tool that she uses is called the 30/30 rule. This rule is explained in more detail in Get Momentum, but basically, you spend 30 minutes reviewing commitments on your calendar that are 30 days or more away. Before she implemented this technique, Jodi found that things on her calendar caught her by surprise, when they shouldn’t have. Because she constantly said yes to a lot of things, life's curveballs would change her entire week and she would be stressed out. She encourages us to cut ourselves a little break when we don’t review everything between now and 30 days away. The point is to change the level of drama that is coming towards you, to be in charge of the things on your calendar rather than constantly being reactive. Try it and see if you realize things are running a little bit more smoothly. The change will be subtle, but you’ll find yourself panicking less at the realization that the deadline for a report is that day. Her other productivity tool is to set alarms that build in buffer time that she’ll need to get herself ready. She relies heavily on her calendar, but when she’s engrossed in work, she can miss a meeting despite knowing it was scheduled. For example, before our interview that was scheduled for 10:30 am, she set an alarm at 10:15 am to log into Skype and check to make sure the headset was working. Sure enough, it took her all of the 15 minutes to get everything working. In situations where she physically needs to move to another location, she allows more time to go over the things she’ll need to take with her or get done. When things happen outside of her control, and she needs a little love, Jodi calls her close girlfriends. Sometimes, they just know how to make you laugh and give you a little perspective. She also reminds us that when it comes to building those meaningful relationships, don’t wait until you have time. Everybody is busy and there’s technology you can use to stay in touch with the people that mean the world to us. Also, Jody has a fun playlist of music that contains silly, crazy songs that make her laugh and she can dance to. She does whatever she can to move, get her blood pumping, laugh, and shift away from the bad mood so she doesn’t fall into a downward cycle. She reminds us that there will be hard days, but some days are better than others and we need to know that we are doing our best every day. She shared a poem called ‘There Will be Bad Days’ and it is about how we get the opportunity to try it again tomorrow and give it our best shot. A little peace, a little kindness, a little forgiving, and some great girlfriends, and the people she really cares about are the things that keep her going. What’s on the horizon for Jodi? Jodi is visiting Menorca in the summer, so she’s super excited about that. She will continue to speak to audiences who want to keep getting better, and she has two conferences coming up, one for women in tech, and the other for women in finance. She loves watching women working in niche areas connecting to one another because she believes women are stronger together. She will continue to find her voice and share it with people who are also doing great things. Figure out what you want to be known for–but rather than in a vague “lifetime” sense, put a shorter, more immediate timeframe to it. Give yourself some real targets because having that level of specificity in your life is actually going to make things easier. Any questions or comments for Jodi or me? Please share them in the comments section at the bottom of this post or in The Productive Woman Community Facebook group, or send me an email. Jodi is the co-founder of the Get Momentum Leadership Academy. She was the first employee at the David Allen Company, founded by David Allen, the author of Getting Things Done. After that, she co-founded The Womack Company with her husband, Jason. Together, they travel the world, working with leaders who want to make their best even better. In 2016 she and Jason wrote Get Momentum based on their work as executive coaches helping clients be productive and achieve success in life and at work. Over the past 11 years, Jodi has spoken to women in finance, women in technology, nonprofit founders, military leaders, and women entrepreneurs. She focuses on the importance of knowing yourself in order to lead yourself. Jodi says the BEST ideas are the ones you’ll actually implement. Thank you to our sponsor: Making Light Candles. Visit MakingLight.com to learn more about the candle subscription, and use the promo code TPW10 for $10 off your first subscription.